We're welcoming Anne Marie Andrus today here at Supernatural Central. AMA: Leading man Raimond Banitierre opens the story wrestling with his history as an assassinated Commander in the French Revolution and the misery of his current situation. Decades earlier, at the moment of his death, he was tricked into a life of slavery. Now, the Vampire Raimond has finally had enough and his plan to fight for independence is set in motion. An unplanned escape from France lands Raimond in Savannah, Georgia where his long-delayed dream of becoming a physician turns into reality. From his trial-by-fire residency on the battlefields of the American Civil War to his chance meeting with beguiling mortal Nurse Emily, Doctor Raimond Banitierre finds precious love, survives tragedy, spirals into despair and gives in to the temptation of revenge. The arrival of Prince Draven Norman appears to be the final nail in Raimond’s coffin. 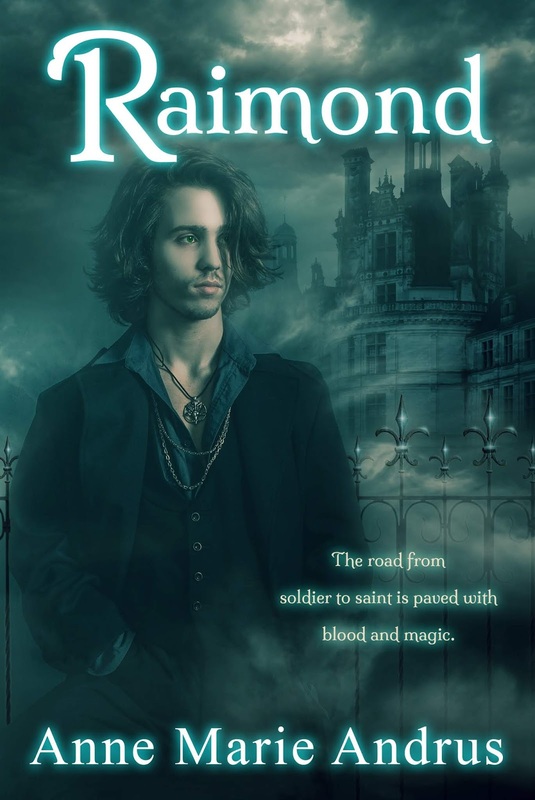 Draven’s surprise invitation to join New Orleans mystical royalty is either treachery or another step Raimond’s incredible journey of hero to martyr, and soldier to saint. AMA: I do believe in the paranormal, but not in the flashy Hollywood way. That being said, I don’t discount anyone’s experiences, but my own are much more subtle. There are places on earth where the veil between the worlds of the living and those who have passed-on, is notoriously thin. At certain times of the year, even more so. In a career where I’ve cared for many people at their time of death, there are instances when that veil drops. As a nineteen-year-old working night shift in a hospital, it scared me. Many years later, I find it comforting, as if I’ve brushed hands with angels. AMA: I’m working on the sequel to Monsters & Angels, titled Blood & Diamonds. Just this week I’ve admitted to myself that there may be a novel in between, because the story still left to tell is too much for one book. I also have a waiting-to-be-finished draft of Cobalt Point, an ensemble cast novel set in an abandoned Rhode Island mansion. 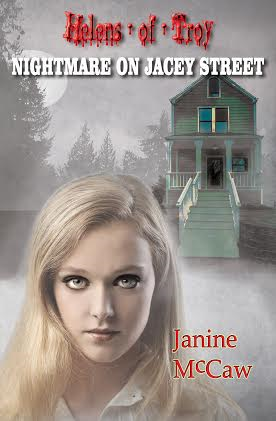 Jersey-girl Holly Hannon inherits an old house from a stranger. Quite a windfall—but she’s not alone. A retired Hurricane Hunter pilot, French antique dealer, fallen Wall Street kingpin, plastic surgeon and major-league pitcher, all hold shares in the estate. I plan to work on Cobalt over the winter. Thanks so much for stopping by! Let's take a look at your novel now. 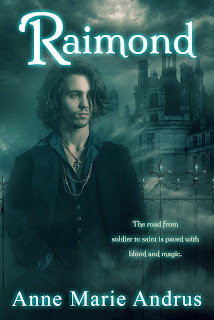 Tagline: The road from soldier to saint is paved with blood and magic. Vicious flames and an unholy miscalculation deliver Raimond back to the depths of hell. Being arrested for treason makes him wish for death and the arrival of Prince Draven Norman appears to be the final nail in Raimond’s coffin. Will the prince’s eccentric judgement grant Raimond a true reprieve? Is Draven’s invitation to join New Orleans mystical royalty an extension of his own treachery, or the next step in Raimond’s miraculous journey? In a derelict neighborhood on the fringe of Paris, one burning red eye glowed through the crumbling foundation of a formerly grand hotel. While family and friends still struggled to put the Revolution’s gory ugliness behind them, their every move was scrutinized by a trapped predator. Raimond kept watch, as he had done for decades, until his eye smoldered from distant sunlight. Switch eyes. A smile drifted across his face while children scurried behind their parents, shopkeepers threw open their doors and the light of hope shone on every street except one. The worn and rutted surface of Rue Le Cross remained cloaked in darkness. Footsteps echoed off the cobblestones outside Raimond’s portal and he strained to see the trespassers. He flinched at the sight of glowing torches, retreating again into his underground gloom. Raimond stepped forward to hear the man’s answer. I should hope they’re scared. Here they go again. The gas lanterns blazed to life and Raimond drummed his fingers on the wall. The flames shivered and gasped, as if being blown out by invisible lips. Raimond shook his head. Raimond rhythmically smashed a rock on the iron bars of his prison. A menacing growl ricocheted off the walls and the couple dropped their torches, slammed into each other and scrambled toward the main street. Don’t come back. Raimond let the rock slip from his grasp and slumped against the dusty wall. Those doors are jammed shut for a reason. As the final, auburn embers of sunlight faded behind the craggy roofline, the underworld groaned to life. Raimond turned around to the absolute black of the catacombs and the squeal of rodents that drowned out hungry cries. He kicked a rat across the cell and his stomach twisted at the whimpers of miserable children sleeping in the cold. They were all victims of a monster that the mortal world above didn’t believe existed. He didn’t have the heart to tell the little ones they were vampires, too. He sighed. None of us will ever be warm again. Raimond punched walls he’d been beating on for years. A few remaining slivers of stone broke free and he slid to the floor, clawing at his eyes. Don’t fall apart now, soldier. This moment has been years in the making. As an officer, he’d been expected to sacrifice his life. Until a maniac stole my soul. That crime was nothing compared to what the innocents who lived beneath the street with him had endured. In a flash Raimond slammed into iron bars that tore the skin from his forehead. He drew a breath of putrid air. The villains beat me and I plotted. He looked at the blackened skin of his hands. They burned me, and I schemed. His escape from the torture was a dive into the darkest corners of his mind, and each time he let himself dream, the hallucinations became bloodier and deadlier. Never mind revenge; I want absolute victory. His eyes wandered across the dungeon full of unwilling vampires, landing first on a fellow soldier. Such an odd story, a Scot fighting alongside the French. Two younger lads slept next to the burly man, both clinging to the ends of a tattered blanket. Nuns, farmers and even patients from the local infirmary had been ripped from their beds and turned into slaves by a madman. In the middle, a young nurse huddled with the frailest children. Her voice, touch and passion to heal had never faltered, despite the hellish conditions. Convincing these lost souls that they have a future worth living—that will be a challenge. Anne Marie has been an equestrienne, chorale singer, EMT and baseball fan. Roaming the back roads of New Jersey with her family, she found great respect for antiques, historical locations and the stories they hold. Her current list of favorite pastimes includes coffee, bourbon and Les Misérables—which requires more bourbon. She has been known to attend sporting events just for the flyover. The boat she and her husband christened Glory Days, is her escape from the chaos of everyday life. 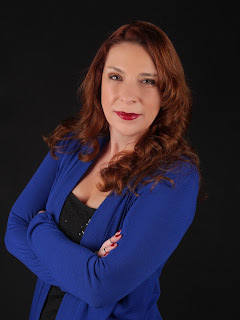 The inspiration for Raimond and Monsters & Angels is Anne Marie’s fascination with vampires, castles and her passion for everything New Orleans. When she isn’t writing, she can be found working nights with the critical care team in a busy trauma center. Thank you, Supernatural Central, for hosting Raimond today!